There is “not much of a living in hawking that which is given away free” on the Internet, Stephens continues. Because facts, news and information are pouring out on “our laptops, our tablets, our smart phones,” the era when humankind “hungered after information, after facts, after news,” has ended, Stevens argues. And, so, he concludes, we must now train and allow our best journalists to provide “a wise take on what’s going on,” what he aptly calls “wisdom journalism” – journalism that strengthens our understanding of the world. Stephens forcefully argues that it’s not the news that is in crisis. It’s the way that journalists are trained to collect and present that news. Whatever the reason for the slow change in how news organizations try to sell accounts of public events, Stephens believes that today, “journalists need to sell something else” for journalism to survive and thrive. Not only will this change affect the way the New York Times reports, but it will also affect the way that school newspapers run. 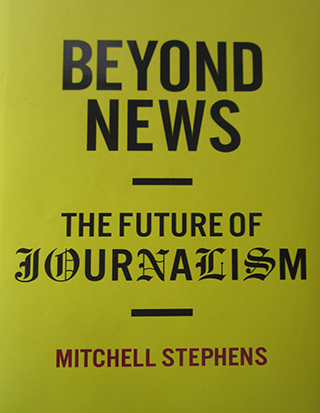 Although Stephens acknowledges that his conception of this “informed, interpretive, explanatory” form of analytic journalism will be “much harder work,” it will also be so much more useful for the news-consuming public. Yet, quoting Jon Stewart, he argues that the main problem with journalism based on such balance is that it is too willing “to leave it there.” Journalists, Stephens says, should have some responsibility for helping us figure out which side of a debate might have the weightier arguments. Journalism should not just objectively report on current events, but “should improve knowledge on current events,” he says. For journalism professors and college media advisers who constantly admonish their students to steer clear of opinion in their news reports, this viewpoint may seem heretical. But, Stephens has an answer to the naysayers. “Opinions can also be enlightening,” he simply states. Journalists who formulate a considered opinion, where that opinion is not only fair to other points of view, but has also been tested and strengthened by exposure to contrary opinion, in his estimation, will benefit their news organizations and the profession in the long run. The hiring practices at American news organizations and the teaching methodology at journalism schools may not have yet changed in the ways that Stephens argues they must. Many recent journalism graduates still begin their careers covering local beats, gathering facts and not interpreting them. Many journalism courses still force students into the narrow style of the inverted pyramid, instead of working on more complicated forms. Such practices will no longer work, in Stephens’ view, when the goal is making facts sensible, revealing hidden truths, providing perspective, expanding views of the world, and looking for larger principles. Will students be able to meet this challenge? “When you give students more challenging work, you tend to get smarter students,” Stephens says. What about student newspapers? They can adapt to this wiser journalism as well, according to Stephens. There are so many issues in education for student newspapers to say intelligent things about, including complex issues like student loans and diversity in the classroom. By providing perspective, making facts “sensible,” and looking for larger principles, journalists will get better at playing the role of “evaluators and idea generators,” says Stephens, adding that the new approach will benefit journalism and society as a whole. To his credit, Stephens stands back and notes the potential danger of his proposal. But, he believes that we can guard against these dangers by becoming more perceptive in our evaluations of interpretative journalism. And, the potential benefits far outweigh the dangers. What Stephens is proposing is not a call for the invention of something new, he readily acknowledges. “In some ways, I am just noting what is happening,” he says. Perhaps Stephens’ clearest formulation of his proposal for wisdom journalism is from a former student of his, Sarah Hart, who, he writes, suggested that “news is what happened; journalism is what it means.” For those of us working day in and day out to train the next generation of journalists, those nine words should make us stop and think. 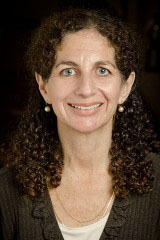 Carolyn Schurr Levin is an attorney who is currently a lecturer and the media law adviser for the Stony Brook University School of Journalism and the interim director of the journalism program at LIU Post, Long Island University. She is the former vice president and general counsel of Newsday and a veteran college newspaper adviser.